With its thunderous bass, Jack Propane’s “Riverside Drive” evokes the feeling of hot, sweaty nightlife. As if overheard from just outside of a club, the thrumming bass propels itself forward as spectral melodies pile on, whirring and chiming in the darkness. As the spiraling tune’s flow ebbs away, it strips away the pulsing beat until only dark sonic clouds are left to drift into nothingness. 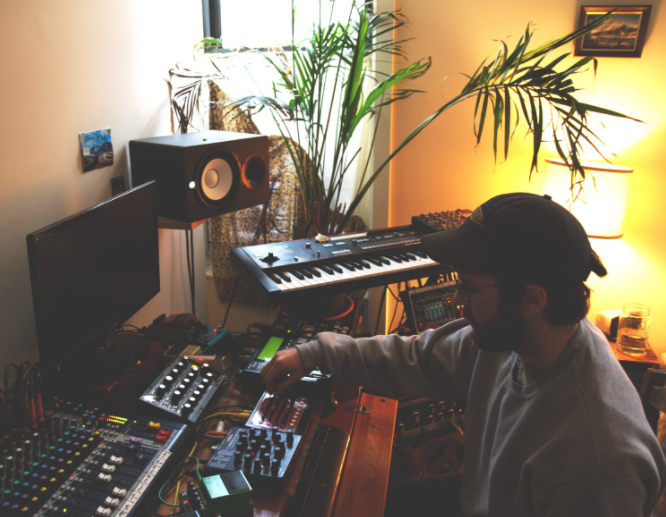 The solo project of Brooklyn-based producer Ryan Caruso, Jack Propane is set to release their six-song EP Other Worlds next month on Atlantic Rhythms. Recorded live using an array of synths, drum machines, effects pedals, and the like, “Riverside Drive” is a thrilling peek at what Jack Propane has in store with Other Worlds. Other Worlds is available for pre-order now on Atlantic Rhythms as a digital download or limited-edition cassette complete with download code and full-sized, hand-screened poster. You can follow Jack Propane on SoundCloud, and Bandcamp.